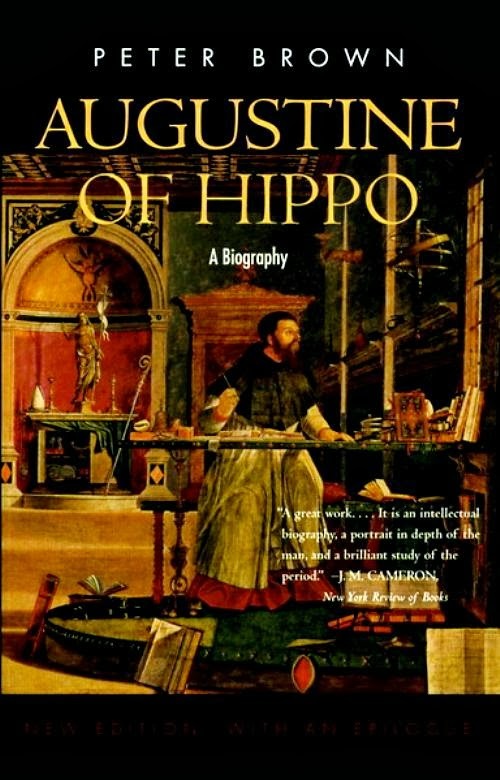 Not long ago a friend recommended Peter Brown's biography of Augustine of Hippo. Rather perversely, I tend to resist the recommendations of friends [I stupidly put off reading Lord of the Rings for several years just because it was recommended so enthusiastically]. I have succumbed to this recommendation. "A classic work and a great exposition of the man and of his era." "A stupendously erudite re-creation, not only of Augustine, but of the entire world of late antiquity." Mark Noll made it a runner-up to his top five. "Exquisitely well written, Brown’s book rises above merely reporting the stages along the way of Augustine’s life—though it narrates them well, so readers who need the basic facts can use this as an introduction—and somehow lets the reader empathize with Augustine at each of his different ages. They’re all here: the wild youth who wanted “chastity...but not yet,” the ladder-climbing young professor of rhetoric, the idealistic convert, the pastor who had to adapt his theology to the needs of the masses, the celebrity bishop pushed into more and more responsibility, and the consolidator of Christian orthodoxy as the lights of Rome were winking out." "Brown has spent his career recreating the world of late antiquity. This biography places our most fecund doctor of the church in that context beautifully." 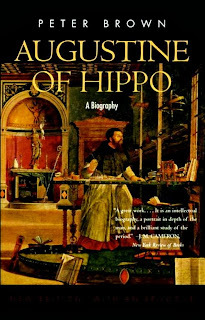 The book is available at Amazon: Augustine of Hippo: A Biography and is apparently going to be re-published in November . I found it, for less expense, at Alibris.